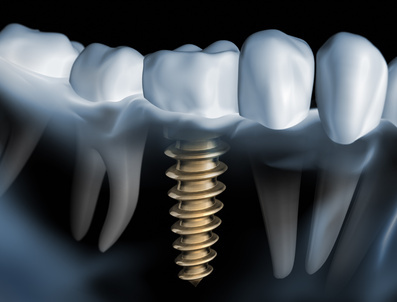 Dental implants help us with great reliability in the replacement of missing teeth. They are the ideal substitutes for natural teeth improving in most cases the results of the conventional fixed prosthesis. 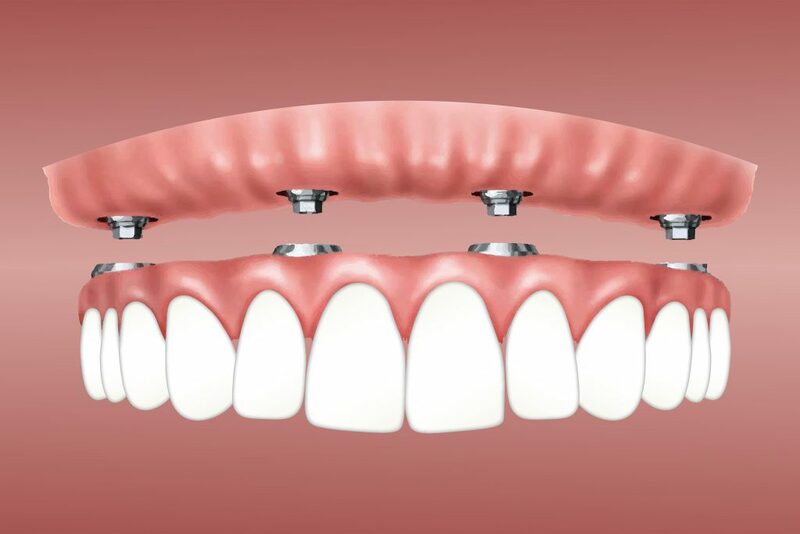 Implants are anchored to the bone, providing a stable base for supporting dental prosthese. 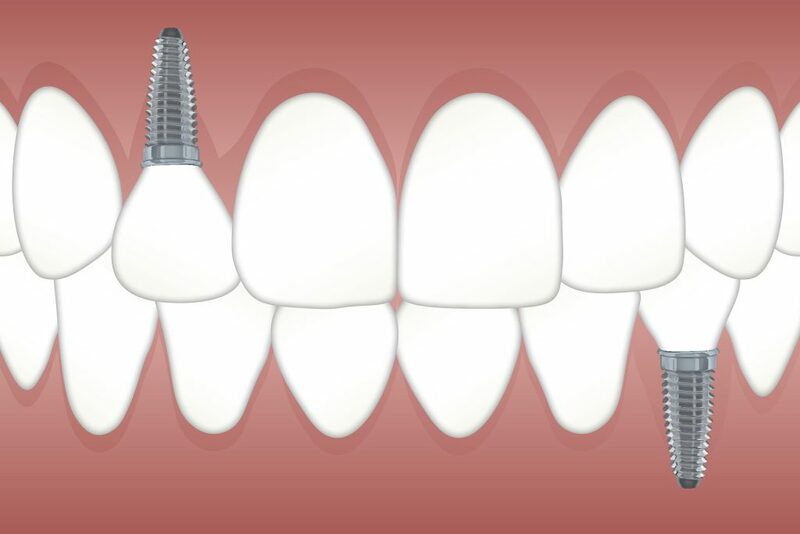 In the case of the absence of one or more teeth, we always consider implant placement as a possibility. It is a simple and painless treatment that helps to recover a beautiful, functional and healthy mouth. Technique in which the implants are placed immediately after the removal of the damaged tooth. This technique uses the gap left by the newly extracted tooth to place the implant. This reduces waiting time, medication and the number of interventions required. The damaged tooth is removed if necessary and the remaining bone is regenerated. From anesthesia to removal of the piece, the whole process is painless. Once the affected tooth is removed, the tissues of the area are reconditioned to ensure the viability for future treatments. Our surgeons use the latest biomaterials and techniques, thus avoiding in most cases a major surgery for bone regeneration”. The maxillary sinus lift is performed in patients with low maxillary bone volume, which is necessary to achieve sufficient surface area on which the implant can rest and stability. When teeth are missing in the mouth the oral function is seriously affected, and also the aesthetics. The correct thing is to replace any tooth that is lost as soon as possible. Our Clinic always develops the different prosthetic treatments with the priority objective of satisfying the patient and improving their function and aesthetics. The focus of this field of dentistry is towards the conservation of teeth in the mouth trying to avoid extraction. When the tooth has been attacked by a decay, the damaged tissue must be cleaned and an aesthetic filling must be made. When the depth of the lesion is unfavorable with respect to the nerve, our exclusive specialist performs endodontics. Later, the piece will be reconstructed and in many cases restored by a porcelain crown. Laser teeth whitening in one or two sessions. The results are long-lasting and have no side effects. Teeth whitening is a safe process when supervised by a professional. 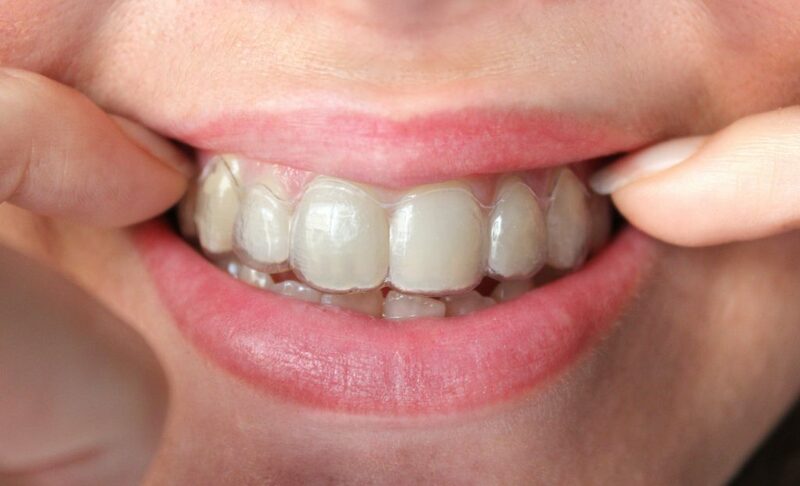 Veneers are thin layers of porcelain or composite that are placed over the front face of the teeth. They significantly improve aesthetics by modifying the shape, position and color of teeth even in difficult cases. A crown is an individual restoration of a tooth. Thanks to this type of prosthesis, it is possible to protect a damaged or broken tooth. As in any other kinf of prosthesis, teeth are made by hand, customizing the shape, the colour and the anatomical needs of the patient’s mouth. In case teeth are not in an adequate position may cause tooth loss, periodontal disease, erosion of the edges or occlusal faces, pain in the jaw joint, fractures, digestive disorders, etc. 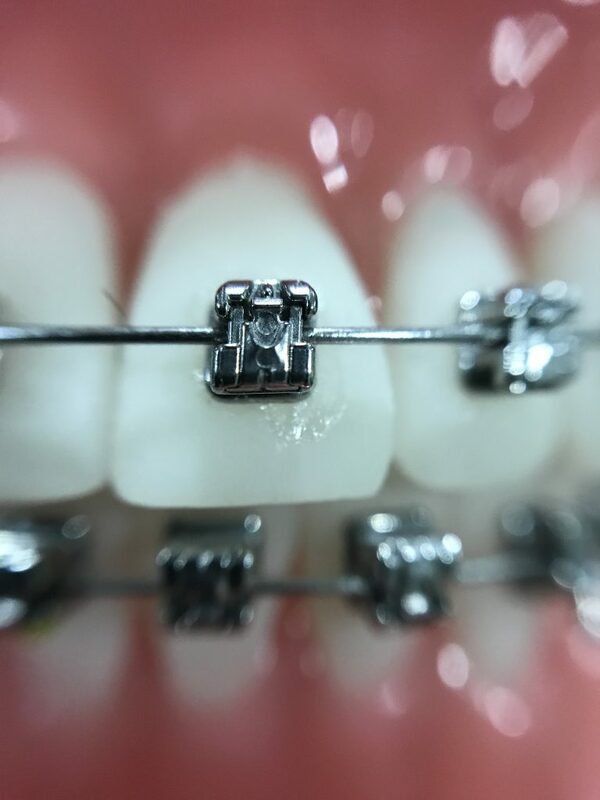 Orthodontics corrects crowded, dental malposition or bite problems and, above all, restores not only health but also the beauty of the smile. Alineadent is Clínica San Telmo invisible orthodontic system. It consists of sequential transparent splints that will allow the treatment to go unnoticed and make it comfortable. As they are removable, they do not interfere with any daily activities.